Do you want an affordable, professional landscaper who delivers high-quality results? 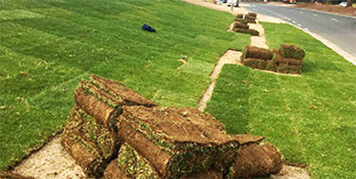 Wayne’s Landscaping & Excavation brings three generations of outdoor landscaping, excavation experience and horticultural knowledge to your residential, commercial, and industrial outdoor space. 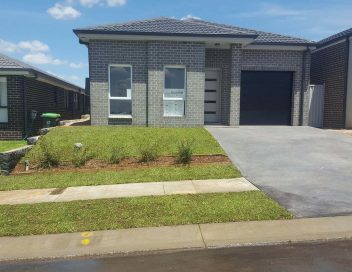 We offer an end-to-end landscaping and excavation service in Campbelltown and surrounding suburbs including free quotes, concept development, material sourcing, installation, construction, and clean-up. 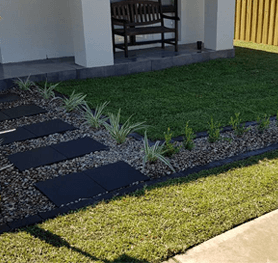 More than just adding beauty to your outdoor space, landscaping services add value to your home and create liveable environments for you to live, play and relax. Using high-quality products sourced from reputable suppliers to deliver superior results, if you’re not happy, we’re not happy. Are you ready to transform your outdoor space into your dream landscape? 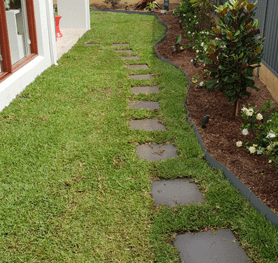 Wayne’s Landscaping & Excavation transforms natural landscapes into beautiful, useable, and easy to maintain outdoor spaces that enhance the appearance and increase the value of your property. 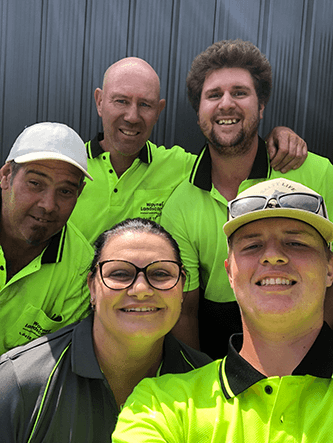 Wayne Leglise and his team provide high-quality landscaping and excavation services for residential, commercial, and industrial projects in the Southern and Western regions of Sydney. Complimentary garden inspections and 100% free quotes. 30+ years of landscaping and excavation experience and horticultural knowledge. We create outdoor spaces that complement your house and lifestyle. No subcontractors. You deal directly with your personal landscaping specialist. Friendly, responsive and dedicated customer service. We’ll always answer your enquiries. A rich, rewarding and relaxing outdoor space to call your own. Your own green space! Water at the base – Water your plants at the base for the most effective water usage. Watering the leaves can damage them. It is best to water early in the morning or late afternoon. Don’t water in full sun. Plant flowers together – Plant your flowers in close groups. Not only will this create bright eye catching results, but sharing root and soil systems will stop them from drying out. 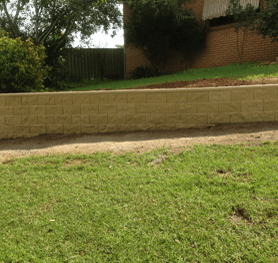 Add retainer walls – Retaining walls can help to define your shrubs and flowerbeds, create visual points of interest, and stop soil erosion. Opt for evergreen – Evergreen shrubs and trees will give your yard bright colour all year round. No more worrying that winter will hit the reset button on your yard. Light up the night – Landscape lighting adds elegance and sophistication to your yard. More than an aesthetic boost, the added light improves safety by ensuring paths are always visible. We design custom landscapes for your outdoor space to match your needs, ideas, lifestyle and meet your budget and expectations. We create functional and eye catching landscapes through excavation, turfing, planting and installation of garden beds and retaining walls. 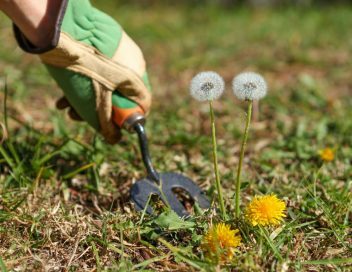 We care for new and existing landscapes with maintenance services to ensure your space looks and feels the way it should all year round. How long does it take to complete a job? Each landscaping project is different so the timeline of completion will vary. We never rush our work to finish ahead of schedule. By focusing on creating exceptional landscape projects that stand the test of time we work within your budget, to a standard, and then to a timeline. Will I be able to drain my property properly so it doesn’t retain water? Yes. 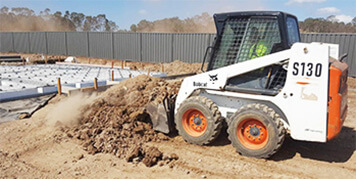 We can excavate so the water runs away from your home or dig a drainage trench. 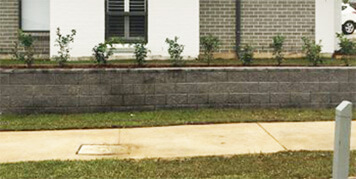 Our retaining walls are constructed with drainage to allow for the easy removal of water when needed. What sort of plants should I be using? 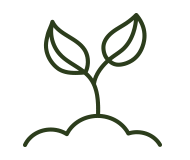 We take into account your location and current plant selection when recommending plants for your project. 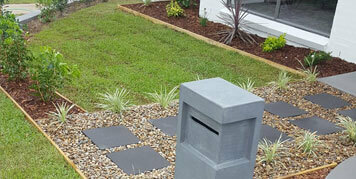 Your plants should suit your lifestyle, the style of your property, and its surrounds. Using layered plant heights and flowering plants to create stunning focal points we’ll help you find the plants that work for you. What type of turf should I be using? 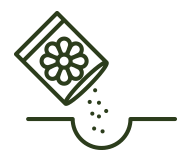 The two most common turf varieties we use are Sir Walter Buffalo and Eureka Kikuyu. 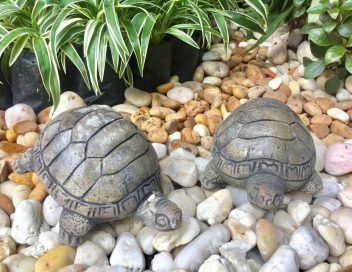 We recommend Sir Walter Buffalo as it stays green year round, is shade tolerant, and weed resistant. 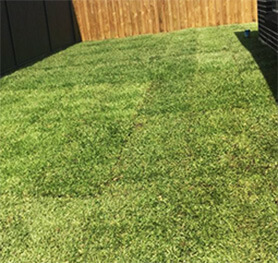 If you’d like more options for your turfing project we’re happy to provide free advice to help you find the turf that’s right for you. Can you help me if I do not have a landscape architect? Yes. 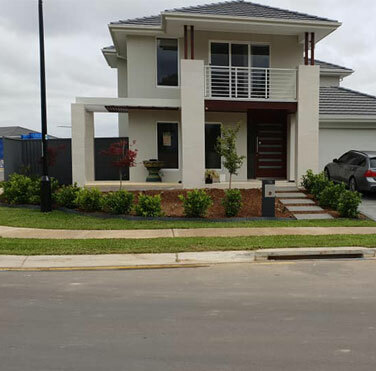 While we do not provide landscape architecture work, we can follow your landscaping architect design to ensure you achieve the design you need. Would not hesitate in recommending Wayne and his crew. 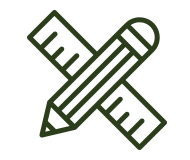 He undertook a difficult job for me in a timely and efficient manner, cleaned up the site after and did everything he said he would when quoting. Thank you Wayne’s Landscaping. We’d like to thank you, Wayne and the team, for all your hard work on our landscaping! It looks and feels like a home now. Wayne really went above and beyond for us and we couldn’t be happier with the final result. We appreciate the effort and if there’s anything we can do to help promote you guys, please let us know!